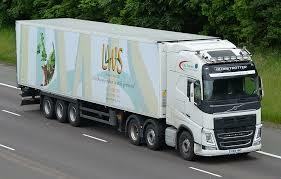 For nationwide distribution services you can rely on, call S & L Fastrack Haulage and Courier Services today. As Preston’s leading distribution company and transport service, there is nothing our team cannot do for you. S & L Fastrack Haulage and Courier Services are able to provide both regional and national road transport services to either help your business or domestic purposes. Providing a full supply of vehicles and a wide delivery network, we provide bespoke distribution services with specialist drivers whenever you need it most. You can now focus on the core elements of your business and leave the distribution to us! Our services are all flexible for all of our customers to ensure that minimal disruption occurs to your normal routines. Whether you are looking for short term services or long term contracts, we create a service that suits your needs perfectly, every time. Sometimes, you might just need a couple of extra vehicle to add to your own fleet if you have some out of action and if this is the case, you can call on us to ensure your company’s products are stored, picked, dispatched and delivered in a timely manner. Call our team on 01772 745 680 to discuss your requirements and get a FREE no obligation quote. All of our services are available on a 24/7 schedule to meet your needs personally and are competitively priced for your benefit.